Hey, you guys! I’m so loving the little updates that are going on on my front porch! I’ve never been much of a gardener. In fact, I’ve always assumed that my black thumb was just a part of my forgetful personality. As in, I would always forget to water any living, green thing. Thank GOD my boys know how to operate the water dispenser on the refrigerator. Whew! So, HOORAY! It’s almost summer and my pretty flowers are still alive. And this hibiscus, which unfortunately doesn’t have it’s gorgeous blooms a-bloomin’ right now, needed a little home that was worthy of it’s bright pink glory. I found this little crate in my garage. I see these things everywhere in craft stores, so I know it would be pretty easy to find. 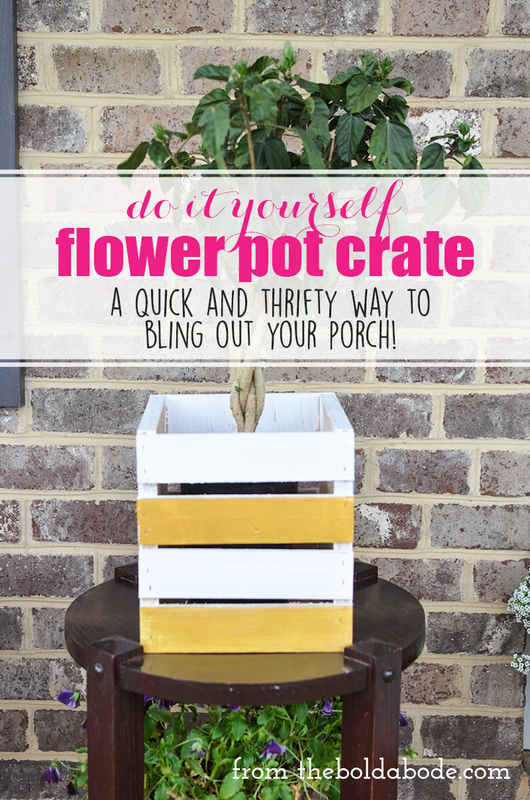 Here we have this month’s sponsored DecoArt project… the DIY Flower Pot Crate! First, paint 2 coats of the Picket Fence. Once the two coats of white are dry, add the gold accents. 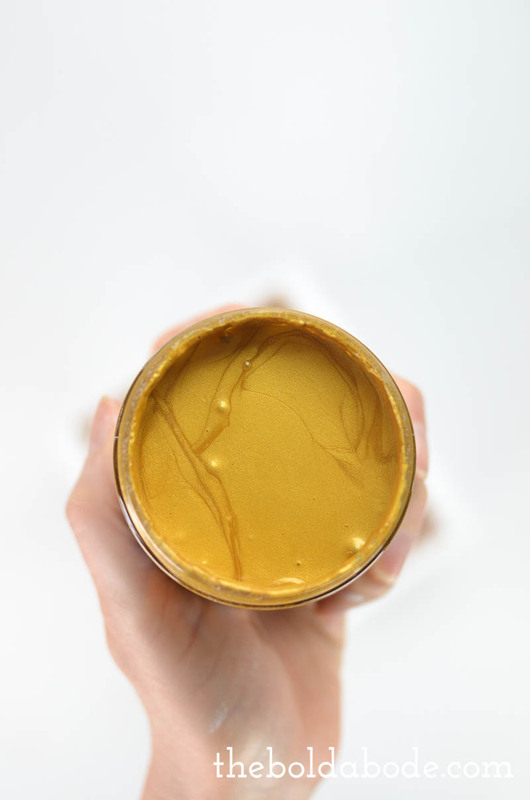 This gold is SUPER pretty. I’m obsessed! You can tape off triangles or diamonds or free hand paint any kind of accent you want. I chose to go with stripes to coordinate with my DIY Wooden Doormat. Once the gold is thoroughly dry, just pop your plant in and your front porch will be the envy of the neighborhood. I know my neighbors are constantly talking about my front porch. I wonder if they are ever going to fix their porch swing that fell when they were sitting on it. I wonder if they are ever going to pick up their bench cushion from the neighbors yard. But I’m slammin’ with my ALIVE flowers and my gold accents, so I’m sure none of that other stuff reeeeally matters. Amiright? Right now the Outdoor Living is available in select Jo-Ann stores nationwide. It will be in ALL A.C. Moore stores on June 24th! 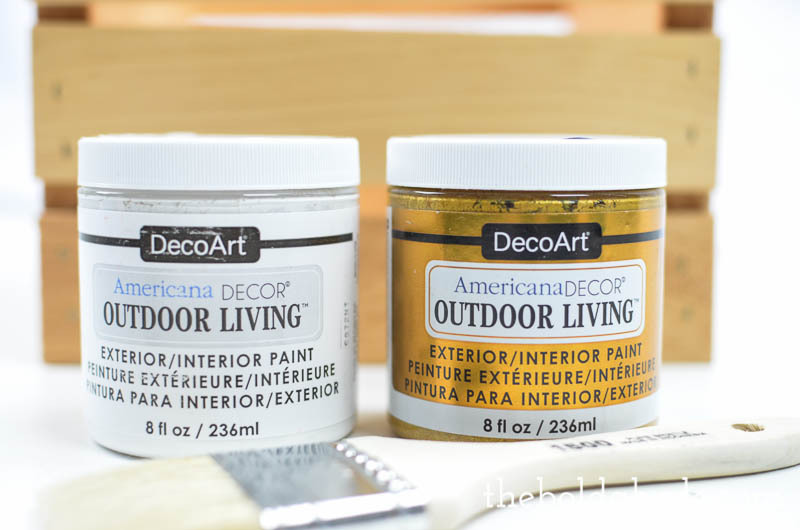 As always, thanks so much to Decoart for allowing me to be a part of their Core Blogger program and for sponsoring this post! P.S. 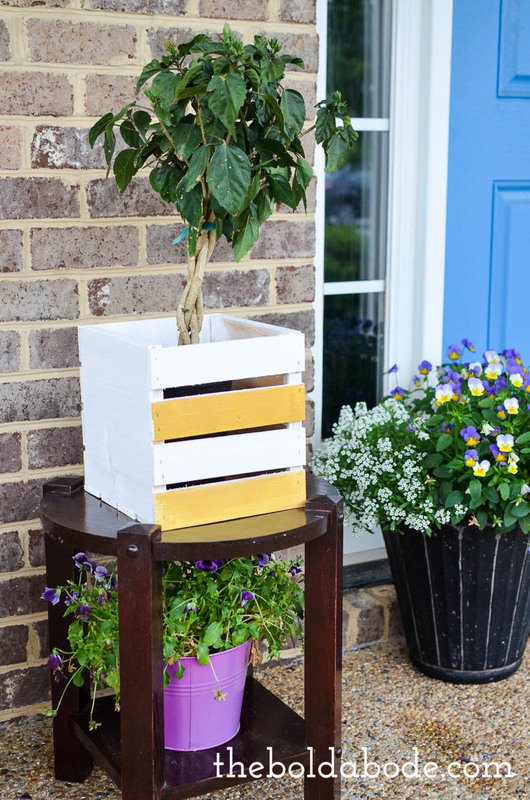 Do you like to bling out your porch for the summer? How-dee-do-it? Let me know down in the comments below!